Through January 13, 2013, the Milwaukee Art Museum will have on display 48 fantastic paintings by some of the most important artists in history. Rembrandt, Van Dyck, Gainsborough: Treasures from the Kenwood House, London is a great opportunity to see art that usually resides across the Atlantic Ocean in England. But did you know that there are some works by these same artists in the Museum’s permanent collection? 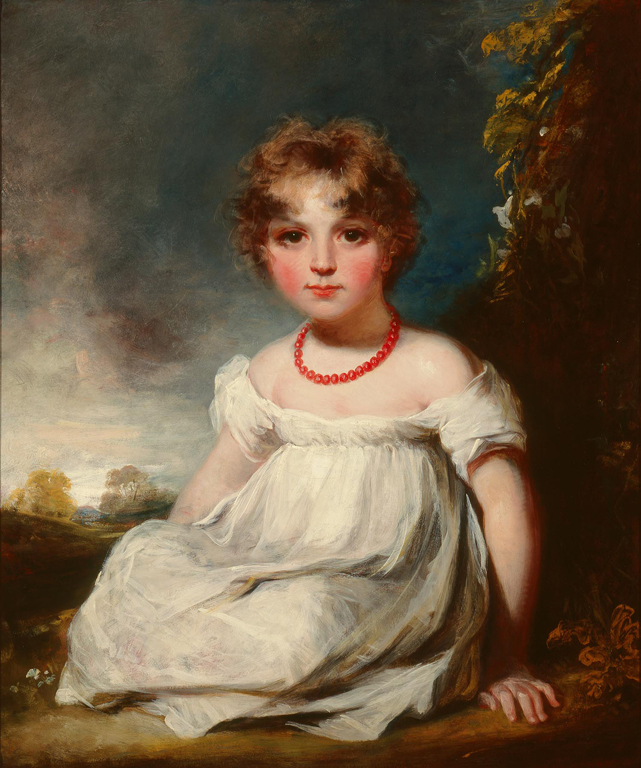 For instance, you will find John Hoppner’s (English, 1758-1810) lovely portrait of 5-year old Jane Emma Orde in Gallery #7 (left). 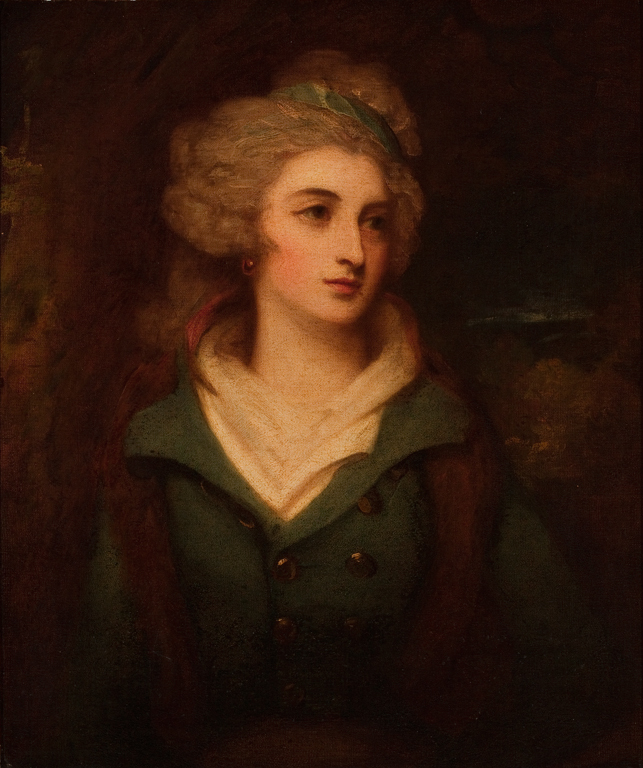 We also have two portraits by George Romney (English, 1734-1802), below–one of beautiful Grace Ashburner, below, and another of a man recently identified as John Parker (a story for another blog post! )–that are currently in storage. In addition, we have a wonderful painting, below, by Edwin Landseer (English, 1802-1873) in Gallery #7. Portrait of a Terrier, The Property of Owen Williams, ESQ., M.P. 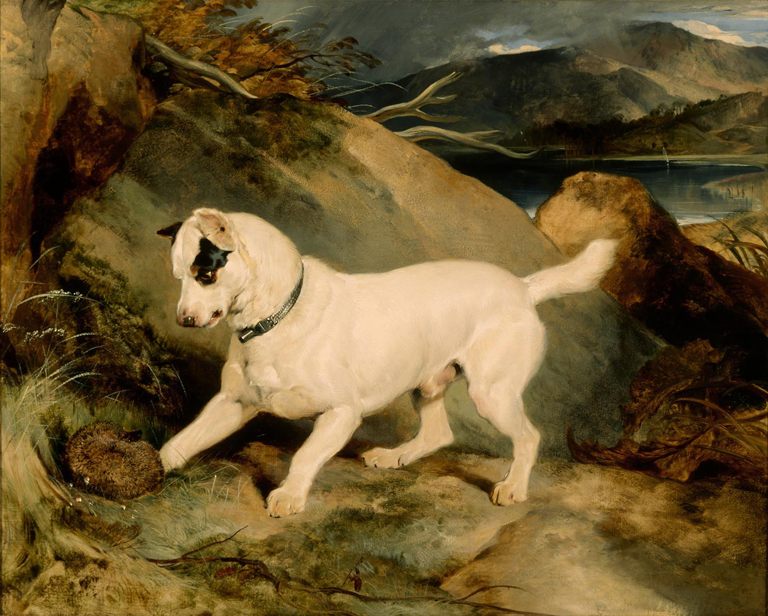 (Jocko with a Hedgehog) clearly shows why Landseer was known for his animal paintings, especially dogs. And keep an eye out for a portrait by Anthony Van Dyck and his studio, which is currently in storage but may make an appearance in the galleries in 2013! Rembrandt, Van Dyck, Gainsborough was also a great opportunity to bring out a selection of works on paper in our collection. These pieces are only displayed for a limited amount of time because of their sensitivity to light—they will fade—so they are usually kept in storage. It includes works by artists included in the exhibition and pieces by other artists that are related to themes in the show. You’ll find the display on the Mezzanine Level of the Museum. For instance, we have a landscape drawing by Thomas Gainsborough (English, 1727-1788) to compare to the painting Going to Market in the exhibition. 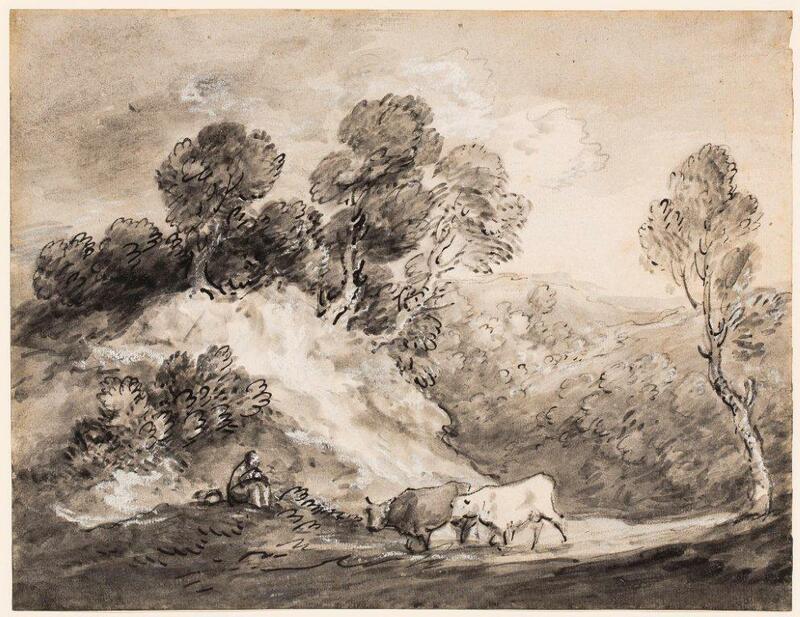 Most likely from the last decade of Gainsborough’s career, Landscape with Cattle is an energetic ink drawing of a herdsman and his two cows in the hilly countryside. The work reflects the pastoral tradition, but Gainsborough may also have been criticizing the enclosure movement, when common land was fenced for the private use of one (usually wealthy) owner, leaving the country economy broken. Gainsborough sometimes said that while portraiture was his profession, landscape painting was his pleasure. There was money to be made in portraits, whereas his landscapes rarely sold. Although Gainsborough sketched outdoors, he worked mostly in his studio. He was more interested in making an appealing composition and setting a mood than in representing a recognizable location. Sir Joshua Reynolds wrote that Gainsborough would put together “a kind of model of lanskips…composed of broken stones, dried herbs, and pieces of looking glass”; he is said to have used broccoli for vegetation and coal for rocks, illuminating the scene with candles to create shadows. 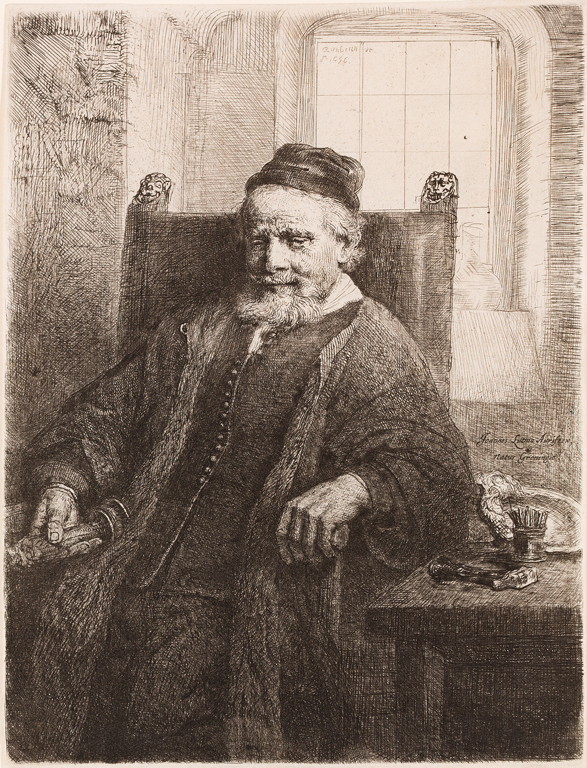 A print by Rembrandt (Dutch, 1606-1669) is also part of the display. Just as the painted self-portrait in the exhibition is a powerful image, so is Jan Lutma, Goldsmith. Jan Lutma (ca. 1584-1669) was a famous gold- and silversmith. Lutma is shown calm and assured at the end of his career, surrounded by objects of his trade. He holds a candlestick, which he made, and on the table are tools such as a hammer and a container of punches. Through using a variety of line strengths and directions, Rembrandt is able to apply the same warm glow with his etchings as his does with his paintings. The light from the window against the wall behind the chair creates depth, while also highlighting the figure’s face and hands, to put focus on the portrait. In earlier states, the wall behind him is a blank wall, which tells us that the window was added in later. Other artists featured in the display on the Mezzanine are Joseph Mallard William Turner (English, 1775-1851), Edwin Landseer, and Canaletto (Italian, 1697-1768). And, I’m very excited that a selection of British portrait miniatures featured in the 2010 exhibition Intimate Images of Love and Loss have been brought out, too, including the fantastic Woman in a Hat by George Engleheart (English, 1750–1829), which I featured in my first blog post. I hope that you’ll take the time to check out the Mezzanine display and enjoy some of the treasures of our Collection! 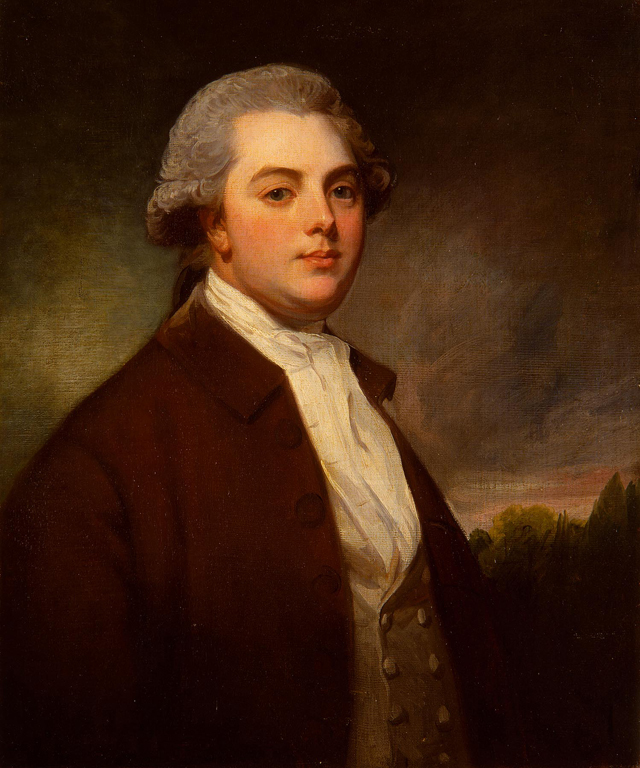 This entry was posted in Art, Curatorial and tagged Edwin Landseer, Gainsborough, John Hoppner, Kenwood House, London, prints, Rembrandt, Thomas Gainsborough, Van Dyck. Bookmark the permalink.